Juan had been participating in our Achievement Center’s classroom activities for several years when he started with New Horizons’ Community Day Program this past Spring, and expressed interest in volunteering with one of our nonprofit partners. New Horizons’ is happy to be transforming our programs and services to create greater opportunities for individuals with intellectual and developmental disabilities in the community. We have placed over 100 clients living with autism, cerebral palsy, Down syndrome, and other disabilities in meaningful community connections. 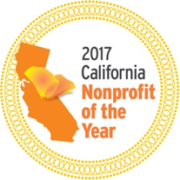 This year alone, they have volunteered and worked at over 15 locations. But the job is not done… We need your help. In 2018 we will continue to assess, train, place and support 150 more people in fulfilling and valuable volunteer jobs in our area. Many of these individuals will eventually transition to employment training and jobs. To do this work, we are reaching out for your continued support. Your thoughtful gift will provide the training, coaching, curriculum, and transportation needed to develop opportunities for individuals to become happy, contributing citizens in our community. Thank you for your consideration of support. We wish you a happy and healthy holiday season, and look forward to sharing more client successes with you in the New Year. 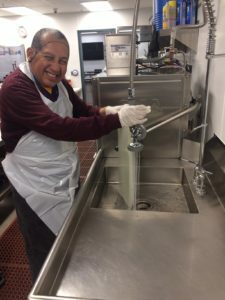 This is what opportunity looks like for Juan who volunteers at local homeless shelter.